Yorma Bopha is an activist fighting for the right to housing with other community members living at Boeung Kak lake in Phnom Penh, the capital of Cambodia. She was imprisoned on the September 4th, 2012 for allegedly planning an attack on two men suspected of stealing. Amnesty International considers her a prisoner of conscience, detained by the authorities for her peaceful activist activity, within which she defends the right to housing and freedom of expression. On 26 and 27 December 2012, Yorm Bopha was tried at the Phnom Penh Municipal Court and convicted of “intentional violence with aggravating circumstances” under Article 218 of Cambodia’s Penal Code. She was sentenced to three years’ imprisonment and ordered to pay compensation to the alleged victims. The appeal hearing opened on 7 June 2013 and lasted for several hours; it resumed and concluded on 14 June 2013. Amnesty International representatives attended the appeal hearings. Yorm Bopha and her husband are alleged to have ordered a violent attack against two motorbike taxi drivers outside a drink shop in August 2012. During the trial, the victims claimed that the attack was ordered because they were suspected of thefts in the area; the victims had reportedly been drinking alcohol for several hours before the alleged assault. The two alleged victims claim to have been attacked by two people – one with an axe and the other with a screw driver; one victim was stabbed four times, and the other received head injuries reportedly causing nerve damage and memory loss. Yorm Bopha’s two brothers were named as the alleged assailants, despite not living in Phnom Penh for several years. Both alleged victims gave unclear, inconsistent and contradictory testimony in court, yet this formed the basis of the case for the prosecution. 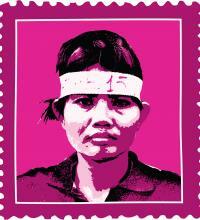 No evidence was provided of Yorm Bopha or her husband’s involvement, and is strongly denied by both. Around 20,000 people have been forcibly evicted from their homes on and around Phnom Penh’s Boeung Kak Lake since 2007, when the land was leased to a company for development. There was no consultation with the residents on development plans, and they only heard about it through the television news. The company began filling the lake with sand in August 2008, causing serious flooding and destruction of homes as the water was displaced. By February 2012, the lake had disappeared under vast quantities of sand. The residents were subjected to harassment and threats to accept inadequate compensation or relocation to a place far from work opportunities and lacking basic services and infrastructure. There have been several protests against the forced evictions, which the Cambodian government has responded to by detaining protesters and restricting their freedom of expression.